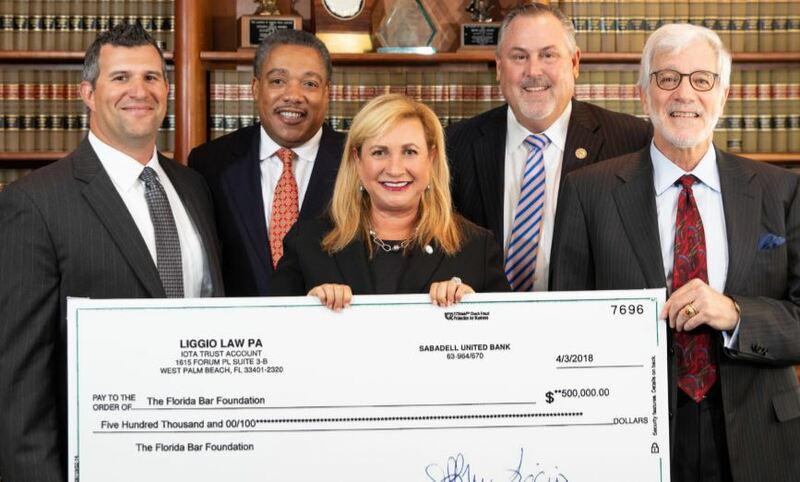 The Florida Bar Foundation has received a $500,000 cy pres award from a class action settlement in a case involving rental fees for propane tanks. Jeffrey M. Liggio of Liggio Law in West Palm Beach represented the class against Heritage Operating L.P., now AmeriGas, through more than 12 years of litigation. Philip M. Burlington of Burlington and Rockenbach, P.A., Scott Johni of the Law Office of Scott Johni, P.A., Erin Whittemore Lohmiller and Kent G. Whittemore of the Whittemore Law Group, P.A. and Geoff Stahl of Liggio Law also represented the group. Judge Pamela Campbell of the 6th Judicial Circuit in Pinellas County approved the cy pres distribution. The Foundation will use the funds to support legal aid organizations throughout Florida. Courts can approve a charitable donation out of unclaimed class action funds. 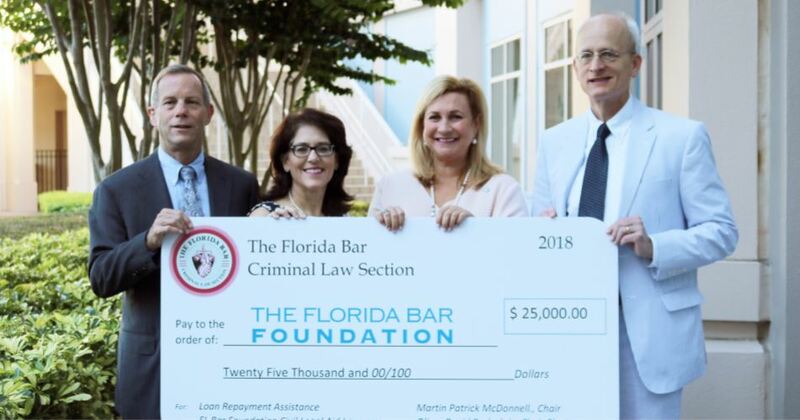 In June, the Florida Bar Criminal Law Section donated $25,000 to the Foundation to support the Loan Repayment Assistance Program, which helps lawyers employed at Florida legal aid organizations reduce their student loan debt. The section has donated $325,000 since 2012. 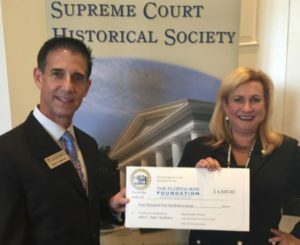 Also in June, in honor of Jack Harkness, the Florida Supreme Court Historical Society donated $2,000 to the Foundation. Its Board of Trustees individually contributed an additional $2,500 for a total gift of $4,500. The donation is earmarked for the Foundation’s Children’s Legal Services program.